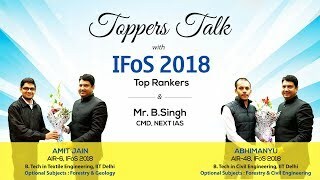 In this edition of Toppers talk, we bring to you inspirational stories and Civil Services career journey of UPSC Indian Forest Service toppers Mr. Aditya (AIR 47) and Mr. Aniket Maruti Wanve (AIR 66). 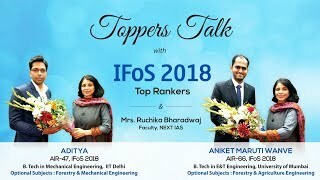 Both are Engineers of 2015 Batch from IIT Delhi and University of Mumbai respectively. 1. 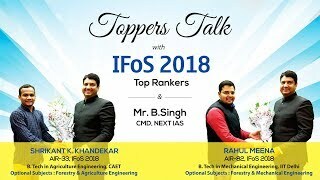 How to prepare for Forestry Optional for the Exam. 2. How to choose and prepare for the second Optional. 3. How to target high score in Prelims - role of guidance and peer group.